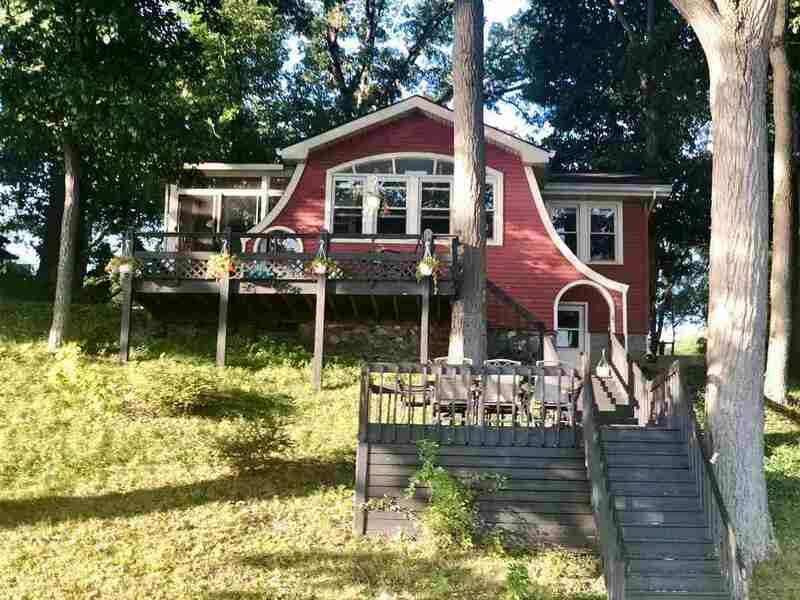 Character and charm throughout this lovely Big Long Lake Home. Boating by, you will know the one! The red, architecturally unique, quaint bungalow perched on the hill that catches your eye. Perfect setting with sunrise and sunset views framed with beautiful mature trees. The home offers freshly finished original hardwood floors, large picture windows over looking the lake, 3 bedrooms, 1.5 bathrooms, 2 car attached garage, and 1 car detached garage, and brand new roof with a 30 year warranty. Big Long lake is an all sports lake from sun up to sun down, and is one of Indiana&apos;s top cleanest lakes. Extra backlot is included with this listing.